300 new homes in five years. Not just ambitious -- essential. Housing that is affordable -- even to those who are employed -- is in short supply. That's why we're committed to adding 300 new homes to the community by 2023. Strategies for independence. Savings for a home. Family self sufficiency. Our Family Self Sufficiency Program helps families save money for a home while learning strategies for financial stability and independence. Caring for what we already have: Home preservation gives old buildings new life. We own and care for many large, aging facilities. Our preservation program re-invests in these buildings. From major maintenance to large-scale projects, we're on the job. There's a reason we called it a "village". At Bascom Village, we've done more than build affordable housing units. We've created 48 homes in a community that supports resident needs and fosters stability. WELCOME TO HOMES FOR GOOD! Homes for Good is Lane County's hub for affordable, low-income housing and services. We were formerly known as the Housing and Community Services Agency of Lane County, or HACSA and sometimes even HASCA. 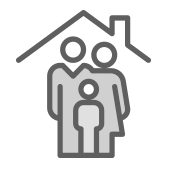 We connect people with rental assistance and public housing. Our long-term efforts emphasize the creation of more affordable housing for low-income Lane County residents. Need Affordable Housing In Lane County? Homes for Good can connect you with affordable apartments, duplexes and houses that suit your family and income. Our goal is to stabilize your housing situation and match you to a home that you can afford. To do this, we'll check to see if you're eligible for a payment voucher that can be used to help pay rent for a Section 8-approved unit. We'll also find out if you qualify for public housing. Sound helpful? 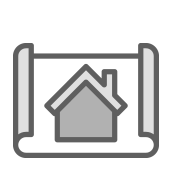 The Homes for Good Open Rental Listing has been updated as of 04-08-2019. Homes for Good creates the Open Rental Listing on a monthly basis as a resource to community members searching for housing options in Lane County. The Section 8 Housing Choice Voucher for Lane County is now closed. As of 6/14/2018 we are working with waitlisted families through lottery number 2100. Click here to lean more about the Section 8 waitlist process. 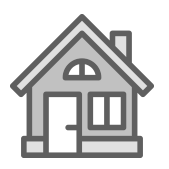 For open wait lists at properties managed by Homes for Good, click the button below. Please note that these are for specific housing complexes, not the Section 8 Wait List. We will open wait lists for 1-bedroom apartments in elderly/disabled complexes in Cottage Grove, Creswell, Junction City and Veneta starting April 22nd through May 7th. The Housing and Community Services Agency of Lane County is now Homes for Good. Watch a short video that explains why we've renamed the organization. You can still count on us for the same essential services, including Section 8 housing vouchers, and low-income and affordable housing and programs. To keep up with demand for affordable housing, Homes for Good is always in the process of developing new housing, or renovating existing housing. Housing is the first step to stability. We can also help connect Homes for Good families with community services and programs that can help with financial independence. NEED HELP FINDING A PLACE? We're here to lend a hand. We can show you where to look for public housing, guide you through the Section 8 process, and even identify other options.